SYRACUSE, N.Y. -- New York is making it easier for patients who use prescription opioids to replace those painkillers with medical marijuana. The state Health Department said it has filed emergency regulations that make any condition for which opioids are prescribed a qualifying condition for medical marijuana. While chronic pain is considered a qualifying condition for medical marijuana, severe pain is not. The change means people prescribed opioids for severe pain can now replace those drugs with medical marijuana. The regulation also allows people being treated for opioid addictions to use medical marijuana as a replacement. "Medical marijuana has been shown to be an effective treatment for pain that may also reduce the chance of opioid dependence," Dr. Howard Zucker, the state's health commissioner, said in a prepared statement. Opioid replacement joins 12 conditions that qualify people in New York for medical marijuana. Those conditions include: cancer, HIV or AIDS, amyotrophic lateral sclerosis (ALS), Parkinson's disease, multiple sclerosis, spinal cord injury with spasticity, epilepsy, inflammatory bowel disease, neuropathy, Huntington's disease, post-traumatic stress disorder and chronic pain. Legionnaires’ disease has hit Washington Heights. Eight people – ranging in ages from under 40 to over 80 – have been diagnosed with the disease in the past seven days, the city Health Department said Wednesday. All but one person was hospitalized, and one was discharged. No deaths were reported. Health Commissioner Mary Bassett warned New Yorkers about the dangers of the disease. “While most people exposed to Legionella don’t get sick, individuals ages 50 and above, especially those who smoke and have chronic lung conditions, are at a higher risk,” she said in a press release. Officials are checking the water in all cooling towers in the area, according to the Health Department. Legionnaires is a form of pneumonia caused by the Legionella bacteria that grows in warm water. People usually contract the disease by breathing mist containing the bacteria, according to the Centers for Disease Control and Prevention. Some symptoms include fever, chills, muscle aches, headaches and coughing. ST. LOUIS, July 2, 2018 /PRNewswire/ -- Centene Corporation (NYSE: CNC) ("Centene" or "the Company") announced today that, following the receipt of all required regulatory approvals, Centene has completed its acquisition of substantially all of the assets of Fidelis Care in a transaction valued at $3.75 billion, making Fidelis Care Centene's health plan in New York State. The addition of Fidelis Care, the leading government health plan in New York State, expands Centene's national leadership in government sponsored healthcare. With the transaction now complete and effective as of July 1, 2018, Centene enters New York, the country's second largest managed care state by membership, giving Centene a leadership position in the country's four largest managed care states by membership, which also include California, Florida and Texas. "We are pleased to have completed our transaction with Fidelis Care on schedule and to enter the New York market by joining with a company with which we are closely aligned on many levels," said Michael F. Neidorff, Chairman and CEO of Centene. "By bringing together two leaders in high quality, affordable healthcare with a shared mission of promoting accessible care and services for all, this transaction creates opportunities for us to further transform the health of the communities we serve, one person at a time." Mr. Neidorff continued, "I would like to officially welcome the Fidelis Care team to the Centene family. We look forward to working with Fidelis Care's network of New York health professionals to support the next generation in government sponsored healthcare programs in the state." Rev. Patrick J. Frawley, CEO of Fidelis Care, added, "The integration planning process reaffirmed the alignment between our two companies, and I look forward to what we will be able to accomplish as part of Centene, including through their comprehensive, state of the art technology and medical management, wellness and care management systems. We look forward to hitting the ground running so we can continue to create opportunities and benefits for all of our stakeholders as part of Centene." As previously announced, Rev. Patrick J. Frawley will continue to lead Fidelis Care as its Chief Executive Officer. Fidelis Care will continue to be headquartered in Queens with operations throughout the state, including, Albany, Buffalo, Rochester and Syracuse. To ensure a seamless transition, Centene and Fidelis Care have worked together over the past nine months to develop an integration plan that will allow for the combined company to efficiently and effectively leverage resources and talent. Centene looks forward to welcoming Fidelis Care's approximately 4,000 dedicated team members to the Centene family. The company and its representatives may from time to time make written and oral forward-looking statements within the meaning of the Private Securities Litigation Reform Act ("PSLRA") of 1995, including statements in this and other press releases, in presentations, filings with the Securities and Exchange Commission ("SEC"), reports to stockholders and in meetings with investors and analysts. In particular, the information provided in this press release may contain certain forward-looking statements with respect to the financial condition, results of operations and business of Centene and certain plans and objectives of Centene with respect thereto, including but not limited to the expected benefits of the acquisition ("Health Net Acquisition") of Health Net, Inc. ("Health Net") and the acquisition of New York State Catholic Health Plan, Inc., d/b/a Fidelis Care New York ("Fidelis Care") ("Fidelis Acquisition" or "Fidelis Care Transaction"). These forward-looking statements can be identified by the fact that they do not relate only to historical or current facts. Without limiting the foregoing, forward-looking statements often use words such as "anticipate", "seek", "target", "expect", "estimate", "intend", "plan", "goal", "believe", "hope", "aim", "continue", "will", "may", "can", "would", "could" or "should" or other words of similar meaning or the negative thereof. We intend such forward-looking statements to be covered by the safe-harbor provisions for forward-looking statements contained in PSLRA. A number of factors, variables or events could cause actual plans and results to differ materially from those expressed or implied in forward-looking statements. Such factors include, but are not limited to, Centene's ability to accurately predict and effectively manage health benefits and other operating expenses and reserves; competition; membership and revenue declines or unexpected trends; changes in healthcare practices, new technologies and advances in medicine; increased healthcare costs; changes in economic, political or market conditions; changes in federal or state laws or regulations, including changes with respect to income tax reform or government healthcare programs as well as changes with respect to the Patient Protection and Affordable Care Act and the Health Care and Education Affordability Reconciliation Act and any regulations enacted thereunder that may result from changing political conditions; rate cuts or other payment reductions or delays by governmental payors and other risks and uncertainties affecting Centene's government businesses; Centene's ability to adequately price products on federally facilitated and state based Health Insurance Marketplaces; tax matters; disasters or major epidemics; the outcome of legal and regulatory proceedings; changes in expected contract start dates; provider, state, federal and other contract changes and timing of regulatory approval of contracts; the expiration, suspension or termination of Centene or Fidelis Care's contracts with federal or state governments (including but not limited to Medicaid, Medicare, TRICARE or other customers); the difficulty of predicting the timing or outcome of pending or future litigation or government investigations; challenges to Centene or Fidelis Care's contract awards; cyber-attacks or other privacy or data security incidents; the possibility that the expected synergies and value creation from acquired businesses, including, without limitation, the Health Net Acquisition and the Fidelis Acquisition, will not be realized, or will not be realized within the expected time period, including, but not limited to, as a result of any failure to obtain any regulatory, governmental or third party consents or approvals in connection with the Fidelis Acquisition or any conditions, terms, obligations or restrictions imposed in connection with the receipt of such consents or approvals; the exertion of management's time and Centene's resources, and other expenses incurred and business changes required in connection with complying with the undertakings in connection with any regulatory, governmental or third party consents or approvals for the Health Net Acquisition or the Fidelis Acquisition; disruption caused by significant completed and pending acquisitions, including the Health Net Acquisition and the Fidelis Acquisition, making it more difficult to maintain business and operational relationships; the risk that unexpected costs will be incurred in connection with the completion and/or integration of acquisition transactions, including among others, the Health Net Acquisition and the Fidelis Acquisition; changes in expected closing dates, estimated purchase price and accretion for acquisitions; the risk that acquired businesses and pending acquisitions, including Health Net and Fidelis Care, will not be integrated successfully; the risk that the conditions to the completion of the Fidelis Acquisition may not be satisfied or completed on a timely basis, or at all; failure to obtain or receive any required regulatory approvals, consents or clearances for the Fidelis Acquisition, and the risk that, even if so obtained or received, regulatory authorities impose conditions on the completion of the transaction that could require the exertion of management's time and Centene's resources, or otherwise have an adverse effect on Centene or the completion of the Fidelis Acquisition; business uncertainties and contractual restrictions while the Fidelis Acquisition is pending, which could adversely affect Centene's business and operations; change of control provisions or other provisions in certain agreements to which Fidelis Care is a party, which may be triggered by the completion of the Fidelis Acquisition; loss of management personnel and other key employees due to uncertainties associated with the Fidelis Acquisition; the risk that, following completion of the Fidelis Acquisition, the combined company may not be able to effectively manage its expanded operations; restrictions and limitations that may stem from the financing arrangements that the combined company will enter into in connection with the Fidelis Acquisition; Centene's ability to achieve improvement in the Centers for Medicare and Medicaid Services ("CMS") Star ratings and maintain or achieve improvement in other quality scores in each case that can impact revenue and future growth; availability of debt and equity financing, on terms that are favorable to Centene; inflation; foreign currency fluctuations; and risks and uncertainties discussed in the reports that Centene has filed with the SEC. These forward-looking statements reflect Centene's current views with respect to future events and are based on numerous assumptions and assessments made by Centene in light of its experience and perception of historical trends, current conditions, business strategies, operating environments, future developments and other factors it believes appropriate. By their nature, forward-looking statements involve known and unknown risks and uncertainties and are subject to change because they relate to events and depend on circumstances that will occur in the future. The factors described in the context of such forward-looking statements in this press release could cause Centene's plans with respect to the Health Net Acquisition, actual results, performance or achievements, industry results and developments to differ materially from those expressed in or implied by such forward-looking statements. Although it is currently believed that the expectations reflected in such forward-looking statements are reasonable, no assurance can be given that such expectations will prove to have been correct and persons reading this press release are therefore cautioned not to place undue reliance on these forward-looking statements which speak only as of the date of this press release. Centene does not assume any obligation to update the information contained in this press release (whether as a result of new information, future events or otherwise), except as required by applicable law. This list of important factors is not intended to be exhaustive. We discuss certain of these matters more fully, as well as certain other risk factors that may affect Centene's business operations, financial condition and results of operations, in Centene's filings with the SEC, including the annual reports on Form 10-K, quarterly reports on Form 10-Q and current reports on Form 8-K.
Atlantic Health System has agreed to a joint venture with MedExpress, a national urgent-care chain, making it a co-owner of 10 existing clinics and one under construction in New Jersey. The current locations are in Bloomfield, Cedar Knolls, Hackettstown, Ledgewood, Linden, Lodi, Nutley, Springfield, Totowa and Watchung. A clinic is under construction in Rockaway, N.J. The six-hospital system wanted to be involved in urgent care to provide a convenient, lower-cost alternative to the emergency room for its patients, said Amy Perry, chief executive of Atlantic's hospital division and senior vice president for integrated care delivery. When Atlantic looked at the areas where it would want to open walk-in clinics, it found MedExpress would make a logical partner. "We had an overlapping strategy," Perry said. "It led us to say, 'Instead of building a duplicate footprint, maybe there's an opportunity for collaboration." Several local health systems have opted to partner with urgent-care chains rather than build their own network of extended-hours clinics. Northwell Health and GoHealth have opened 74 clinics since they first announced a partnership in 2014. CityMD has formed partnerships with Catholic Health Services of Long Island, Hackensack University Medical Center, Montefiore Health System and Mount Sinai Health System. Perry acknowledged that urgent care has been viewed by some as a threat to primary care, but she said Atlantic's doctors could benefit from this agreement. "We're very sensitive to being good partners with our physicians," she said. "We know that this is a service that our patients are currently using. Our feeling is if we have a partnership in this space, we would have a better chance of connecting patients back with primary care physicians." MedExpress has nearly 300 clinics in 27 states, including 28 in New Jersey. Locations in the southern part of the state won't be part of the co-branded centers. The company was acquired by UnitedHealthcare's Optum in 2015. The partnership, which allows for additional future locations, "will help ensure that patients receive the most appropriate care at the right setting at the right time," Gary Derk, vice president of MedExpress, said in a statement. Providers in New Jersey must give patients information on out-of-network services and publicly post their standard charges under a new healthcare price transparency law. June 11, 2018 - New Jersey policymakers are increasing healthcare price transparency in the state by enacting a new law intended to protect consumers from surprise bills for out-of-network health services. New Jersey Governor Phil Murphy signed Assembly Bill No. 2039 into law on June 1, 2018. In a little under 90 days, the new law will require healthcare facilities and providers to give patients information on network status prior to non-urgent care delivery. Healthcare organizations and providers will also have to provide a disclaimer to patients regarding their patient financial responsibility for additional out-of-network fees. Surprise medical bills stemming from out-of-network care delivery is a major issue for providers and consumers. Governor Murphy reported that about 168,000 New Jersey residents receive out-of-network bill each year, totaling $420 million. Oftentimes, these surprise bills are transferred to the payer, who then pass on the costs to approximately five million residents, who end up paying up to $956 million more per year for commercial insurance premiums, he explained. “No one likes to be blindsided. But that’s what’s been happening to residents who did not know they were getting out-of-network medical care until they received a bill in the mail,” said Assembly Speaker Craig Coughlin. The law also aims to protect consumers who receive surprise bills for out-of-network emergency services. 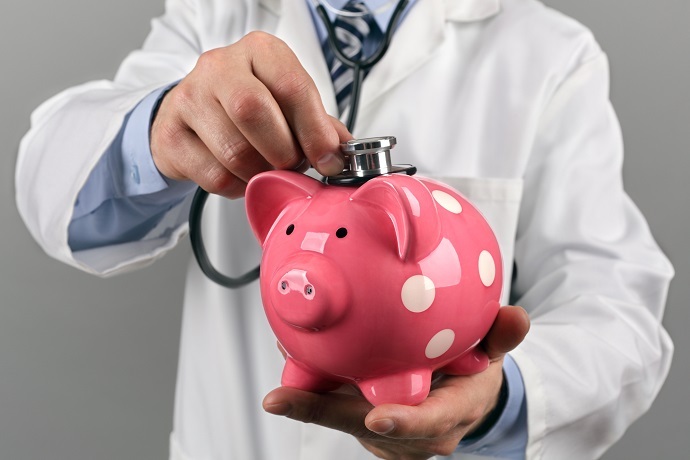 More often than not, providers do not have time to offer cost estimates to patients seeking emergency or urgent services because their health takes precedence during the visit. However, urgent and emergency care can leave patients with a larger-than-expected medical bill because patients either could not get to an in-network hospital in time or a provider practicing in an in-network is actually outside of the patient’s network. New Jersey policymakers intend to alleviate the financial burden of surprise medical bills for emergency services by changing provider medical billing practices. For out-of-network services administered on an “emergency or urgent basis,” the law mandates that providers cannot charge in excess of a patient’s deductible, co-payment, or co-insurance amount applicable to in-network services. Health plans will also face new requirements under the New Jersey law. Payers will have to provide a written notice of network changes, offer detailed information on out-of-network services, and operate a telephone hotline to answer beneficiary questions. Additionally, policymakers in New Jersey aim to increase healthcare price transparency in the state by requiring providers to give patients healthcare cost estimates upon request. Providers will also have to publicly post standard charges. The new requirement resembles the recent government push to increase healthcare price transparency. In April 2018, CMS released a proposal that would require hospitals to make a list of their standard charges public on the Internet. In an exclusive interview with HealthITAnalytics.com, CMS Administrator Seema Verma said the proposal was “just the beginning” of the federal agency’s efforts to increase healthcare price transparency at the provider-level. “When you go to receive a healthcare service, there are always going to be situations where you can’t know what the costs will be, especially around emergency situations and some acute situations. But for a lot of us, we’re going in for planned procedures. You should be able to know what it’s going to cost you,” she said. “As people are paying more for their healthcare, they’re demanding more. They want quality and price transparency. This is just a response to the needs of patients,” she continued. New Jersey and several other states are following in CMS’ lead by offering healthcare price transparency solutions of their own. Like New Jersey, Colorado also recently passed a law that requires providers to give patients the prices of their most commonly delivered procedures. More states are likely to react to the federal government’s push to increase healthcare price transparency as their residents continue to enroll in high-deductible health plans and healthcare costs continue to rise. MONTPELIER, Vt. (AP) - Vermont is moving forward with its quest to ensure that as many residents as possible have health insurance by enacting a law that will require all to be covered or be penalized. The law, signed with no fanfare by Republican Gov. Phil Scott late last month, sets up a commission to work out the details of the law. The mandate is scheduled to take effect Jan. 1, 2020. Proponents say the law is needed to spread the insurance risk among as many people as possible and keep health insurance more affordable for everyone. "The stability of our insurance market really demanded this," said Republican State Rep. Anne Donahue, vice chair of the House Committee on Health Care. Vermont has worked for years to ensure that as many of its residents as possible have health insurance. In 2014, the state abandoned what would have been the nation's first statewide single-payer health care system. The Affordable Care Act requires individuals to have health insurance or pay a penalty. But last year, Congress repealed that mandate effective 2019. Nationally, many rebelled against the idea that the federal government could tell them what they needed to buy. The National Academy for State Health Policy found that five states - Hawaii, Maryland, New Jersey, Vermont and Washington - were considering a mandate. Connecticut has been studying one and a Washington D.C. group is recommending the district implement one. Massachusetts has had a mandate law for years. "It is really significant that Vermont established an individual mandate and filled the gap with the federal roll-back," said Trish Riley, executive director for the Academy. Two days after Scott signed Vermont's law, New Jersey's Democratic Gov. Phil Murphy signed a law that requires residents to have health insurance or pay a penalty. That takes effect in January. In Vermont, the penalty for not having insurance won't necessarily be a financial one. Sara Teachout, a spokeswoman for Blue Cross Blue Shield of Vermont, the state's largest private health insurance provider, said the organization welcomes the law. "It provides stability," Teachout said. "You can't really look at the individual mandate alone. It's part of a comprehensive health care system where everyone purchases insurance and everyone is covered, ideally." New York State now has a program to provide medical practices with financial assistance to connect to their local Regional Health Information Exchange (RHIO). The Data Exchange Incentive Program (DEIP) was established by the NYS Department of Health to provide health care providers with up to $13,000 to help offset the costs of connecting to the local RHIO. It was established in response to the concerns expressed by many health professionals to reduce the sometimes exorbitant costs imposed by EHR vendors in connecting to local RHIOs. For more information about eligibility requirements, send an e-mail to deip@nyehealth.org. Here is an item from the Medical Society of the State of New York regarding proposed Workers' Compensation reimbursement revisions.